Fresh, heartfelt, and timeless wedding images that will become tangible lasting memories. Kristeen's goal on your wedding day is to create fresh, heartfelt, and timeless wedding images that will become tangible lasting memories for you and your family. Kristeen is an experienced, award-winning, and friendly photographer. 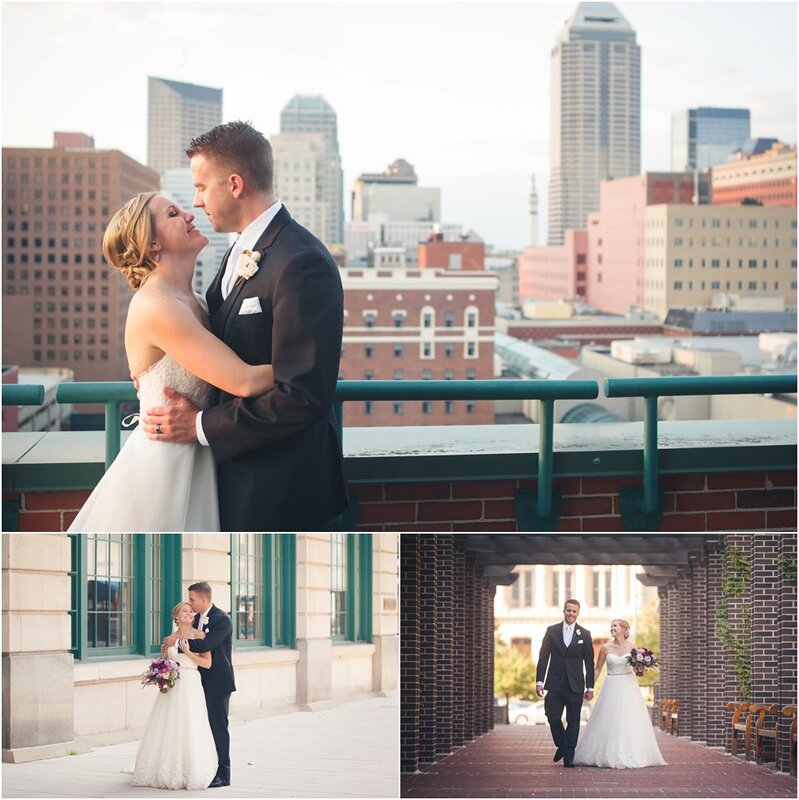 KristeenMarie Photography has been offering Indianapolis wedding photography since 2008. She doesn't just capture the details of the wedding but also the mood, feeling, and energy of your big day. It is important to capture everything from the small details you spent hours working on, to the first kiss, to the glowing look on your Father's face when he sees you for the first time in your beautiful wedding dress. While KristeenMarie Photography is based in Indianapolis, IN she has traveled all over Indiana for weddings. Wedding packages range in price from $2550 - $3450. All wedding packages include digital rights to edited images and most include 2 photographers on your wedding day. For exact pricing and packaging please contact Kristeen. When you contact Kristeen be sure to note your wedding date. Kristeen is happy to meet with you to talk through your wedding plans before you book. Kristeen can't wait to learn more about your Indianapolis wedding photography needs. Kristeen books a limited number of weddings each year. This is done to ensure that each couple that she works with is given adequate time an attention. She takes great pride in helping couples build a shooting timeline for their wedding day to help things go smoothly. Kristeen also offers special pricing for elopements or small weddings (lasting just an hour or two). For more information on that please contact Kristeen directly. Kristeen has shot at many venues in and around Indianapolis and central Indiana. She also loves to visit new ones. For formal bride/groom and bridal party pictures Kristeen loves to get outdoor pictures of the bride, groom, and bridal party at one of the many beautiful outdoor locations around Indianapolis. Kristeen recommends scheduling at least an hour into your wedding timeline for formal bride/groom and bridal party pictures. If your wedding or reception venue doesn't have a stunning outdoor backdrop then let's travel to one nearby! Kristeen prides herself in providing a custom wedding photography experience for each of her brides. She will be with you in your wedding planning process to ensure your wedding photography will go smoothly. Kristeen only accepts a limited number of brides each year to ensure this custom experience.